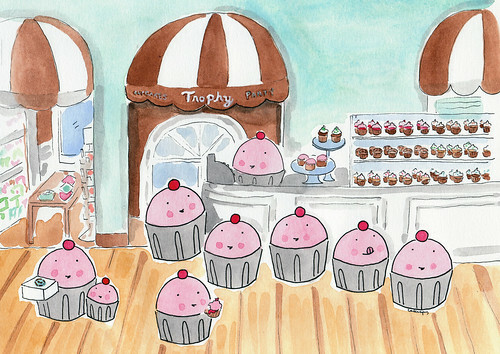 Save the Date: CakeSpy Art Show at Trophy Cupcakes! Ready for some serious sweetness, people? 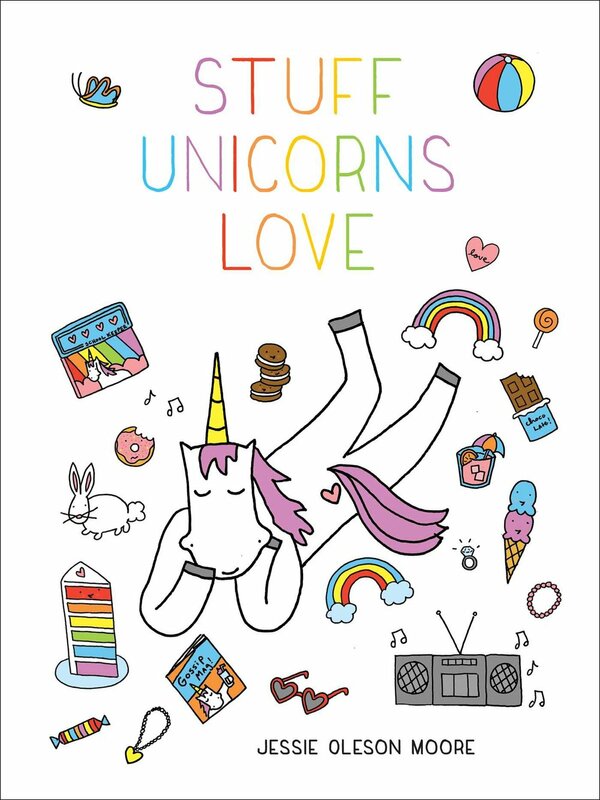 Well, save the date (and your money, and your appetite) for an upcoming art show of the sweetest proportions as CakeSpy teams up with Seattle's own Trophy Cupcakes! The show will be up all month, but if you want free cupcakes, you'd better come to the opening reception! Etc: This is an open house reception as part of the Wallingford Art Walk. Children are welcome. There will be a limited supply of free cupcakes. 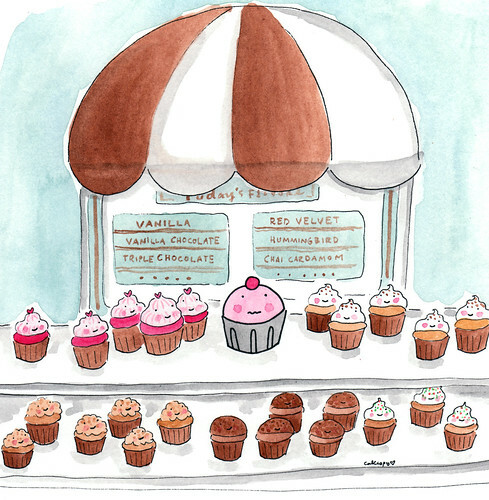 About the Show: The theme of the show is "Cuppie Takes Seattle", and it will feature over 50 original paintings featuring Cuppie the cupcake mugging in front of all sorts of Seattle landmarks! 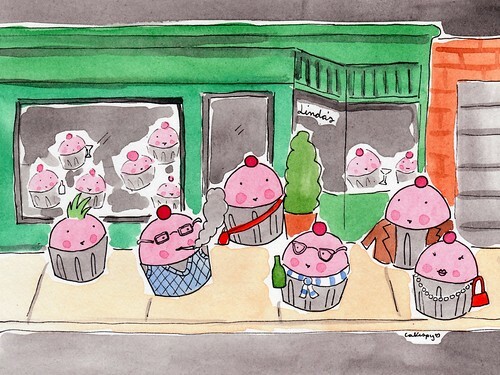 From cuppies hanging out by famous icons like the Space Needle to more "locals-only" subject matter like hipster cupcakes hanging out in Capitol Hill or cupcakes admiring the Fremont Troll, there's bound to be enough sweetness to go around.